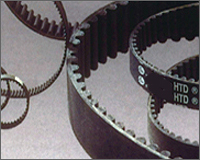 Timing belts make less noise compare to chain belts and gear belts and has high transmission capacity and efficiency. Timing belt is widely used for wood processing, mining, packing pipeline, weaving and many other machines. This belt doesn't require lubrication hence its maintenance free and able to deal with storm stress. Replacement of Timing Belts is time and cost saving than the alternative. 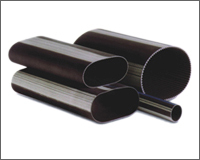 PU Timing Belts has high performance transmission. This PU Belts has high intensive and low extension adoptive modules. It contains polyurethane on both side upper and lower surfaces. These belts are available with Open-End and Endless (Joined) kind. Poly v-belt allows drive design to meet requirements of power grip and space. This belt also allows high drive efficiency on small pulleys at high speed and low vibration. It is also known as Rubber Ribbed Belts. 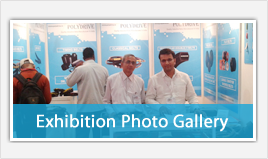 Polyflex Belts has High Modulus Polyurethane compound which resists ozone and weather condition, having strength of smooth drives with high speed and minimum vibration. It is widely applicable at computer peripherals, machine tools, medical equipments, blowers, drilling machines and other small appliances. 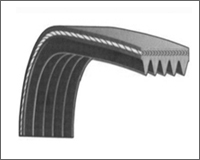 HTD Belts is high torque drive belts of curvilinear tooth form. It is more compact and more economical belt from Industrial synchronous belts made of international quality standard. 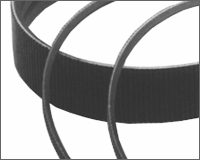 STD Belts is referred to SuperTorque drive belts. These special curvilinear tooth design belts are available in wide range and size. We are authorized manufacturer, dealers, distributors and suppliers of various kind of timing belts in India like PU belts, HTD belts, STD timing belts, Polyflex, etc for Continental ContiTech. We offer best quality of the Timing Belts at wholesale rate for bulk order.